When a baby is born, their skin is at its most delicate. That’s why we perfected our formulas over 125 years so they’re now even more gentle for all. Our JOHNSON'S® Baby Soft Wash gently cleanses to keep delicate skin soft, smooth, and feeling healthy. Great for kids and adults too! Wet baby’s body with warm water, apply wash with your hand or washcloth, gently lather and rinse. i have used this product for about 8 years and not you have changed the packaging and it doesn’t seem the same and not a creamy consistency . This is the 2nd time you have discontinued a product or replaced not to the same standard . I have extremely dry skin and found the previous soft wash fantastic, I picked up the new bottle and formula today, and it's made my skin feel itchy and coated and dry! I'm so very disappointed, not only on the loss of a fantastic product, but at the waste of money too! I have used Johnson's Softwash for a long time now and I have to agree with the other reviews the product is not the same and far from improved in my opinion. What a shame I absolutely loved the previous version. 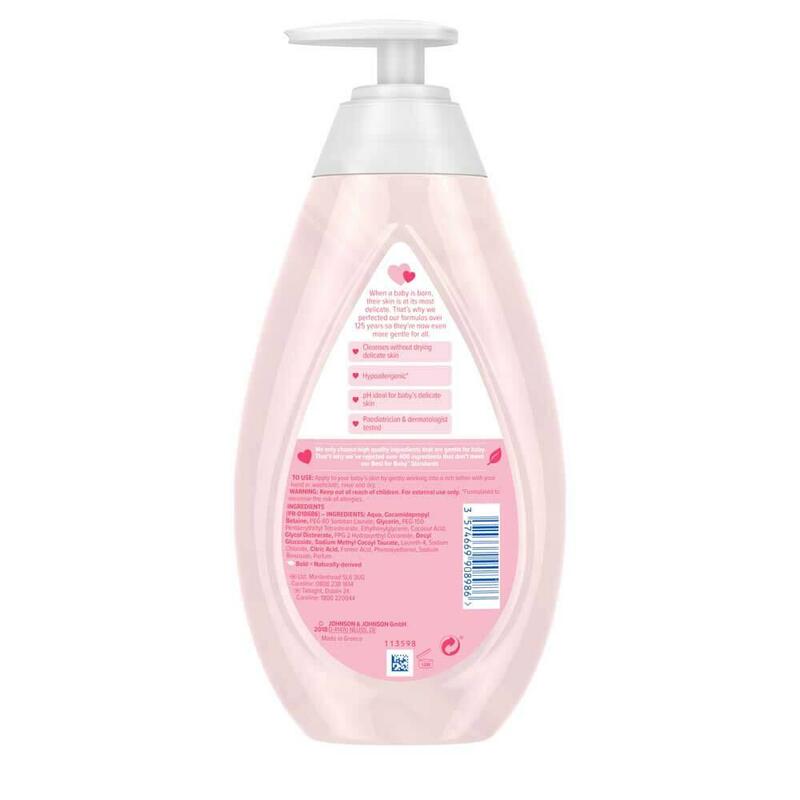 I have used Softwash for many many years as I have extremely sensitive skin from the wash down especially my legs and soft wash has been the only soap I could wash and shave with. Since purchasing in the new pump type I have experienced extremely itchy legs from the first use. I am so disappointed. I have tried many other products over the years to see if I could use them and have never found anything. So disappointed. Why??? I’m lost for words...why change a signature scent and product. I have used the pink soft wash for years for my son who is now 14 and myself. I will look for an alternative brand. I have used soft wash for 20 years,your new version has made my Skin dry and made me itch all over,it's a bold move to Discontinue a product in favour of a completely new one,I would not recommend using this on baby's or Adults. As with the other reviews already on here. I am extremely disappointed in the new formula soft wash. Using this new one with the pump bottle has left me with itchy hives covering a lot of my body. My doctor even gave me a recommendation not to use this any longer and I would be better off using just water to bathe as my skin does not agree with it. Please bring back the old formula.